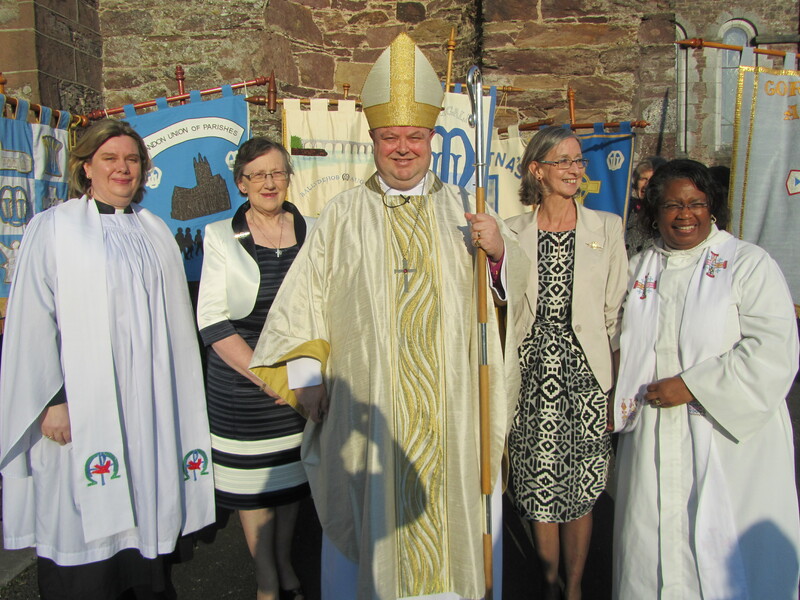 Pictured following the Mothers’ Union Diocesan Festival Service held in Christ Church, Fermoy on March 22nd are: (l to r) the Reverend Isobel Jackson (MU Diocesan Chaplain), Mrs Phyllis Grothier (MU All Ireland President), the Bishop, Mrs Patsy Devoy (MU Diocesan President), the Reverend Eileen Cremin (Rector of Fermoy Union). This entry was posted in Church Services, Diocese, Mothers' Union, Parish News. Bookmark the permalink.